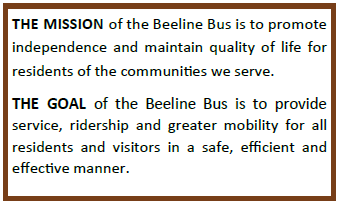 Beeline Bus is a new transit bus system that started December 2018 serving the Payson, Star Valley and Mesa Del areas of central Arizona. 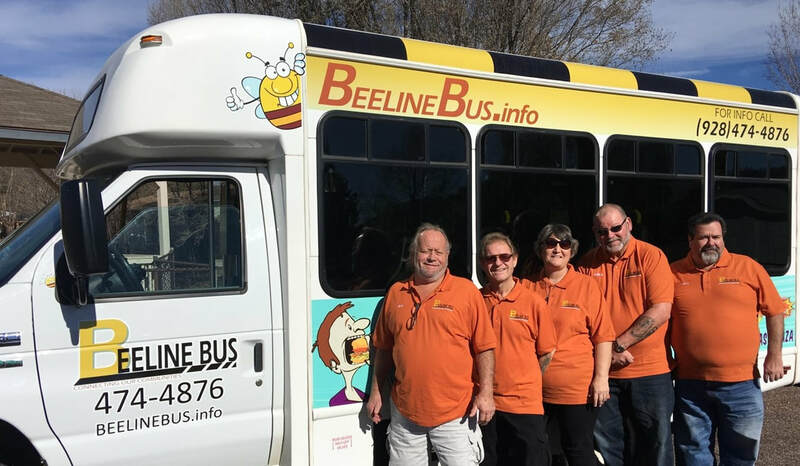 Beeline Bus is being run through the Payson Senior Center with the support of ADOT (Arizona Department of Transportation) and in partnership with Gila County the Towns of Payson and Star Valley and The Payson Senior Center. We want to say THANK YOU for all you have helped get this bus system running. It's been an "exciting" journey. We will share more of the story soon.